AJC’s Spring range went out on the 1st of September 2018 and will be available till Christmas 2018. Two of my favourite out of this collection have beautiful flower patterns. 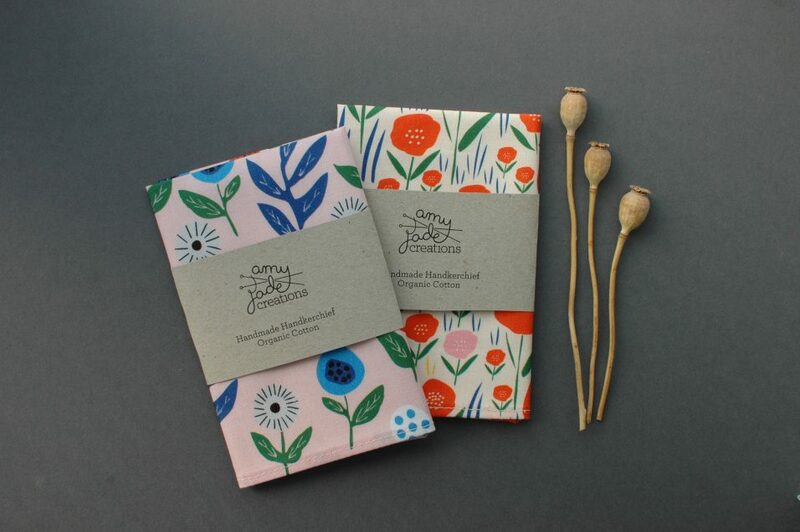 The fabrics come from Cloud9 Fabric’s collection of gorgeous organic cotton fabrics. Follow me on Instagram to see the handkerchiefs and some new products that are being released this month, including leaf printed organic Tea Towels! My Etsy store will be open till early December. You can also find my products at my many stockists around Australia. How can i buy your beautiful handkerchiefs? 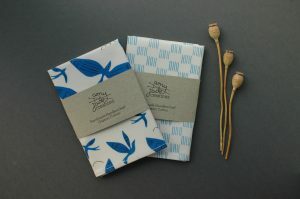 If you are within Australia you can buy my handkerchiefs at any of my stockists on my stockist page of my website. If you are overseas my Etsy store (www.etsy.com/shop/amyjadecreations) is the only way for you to purchase my handkerchiefs, however it is a bit empty as I have sold out of most handkerchiefs leading up to Christmas. If you follow my Etsy shop you will be notified when I restock the store.